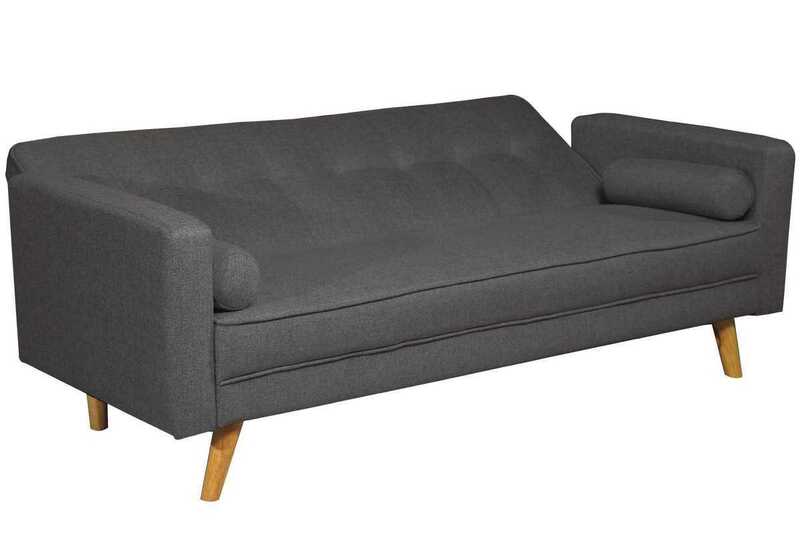 This Stylish Modern 'Boston' 3 Seater Fabric Sofa Bed comes in subtle Charcoal (Dark Grey). It would make a stunning addition to any home. 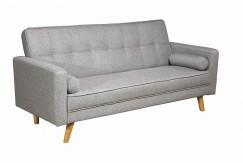 Made from Wood & Upholstered in the finest quality Fabric the Boston Sofa Bed is versatile and practical. 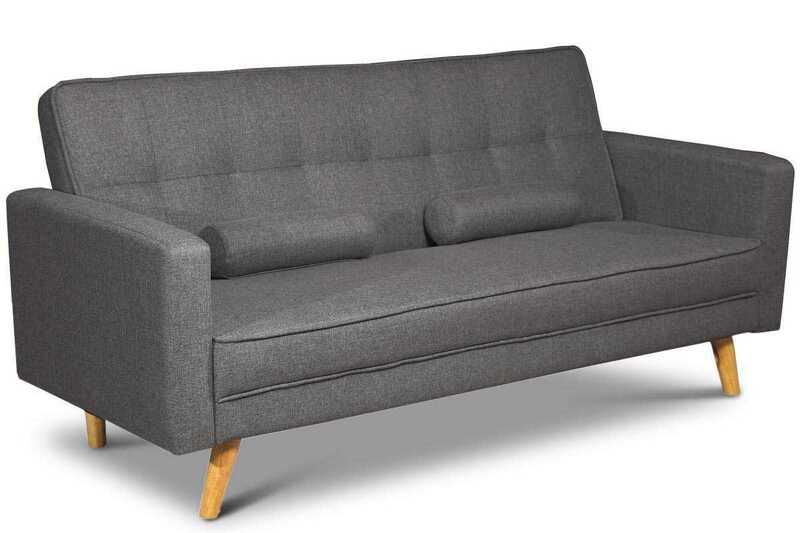 This Sofa Bed could be used in a Bedroom or a Living Room and will provide a useful extra bed in your home. 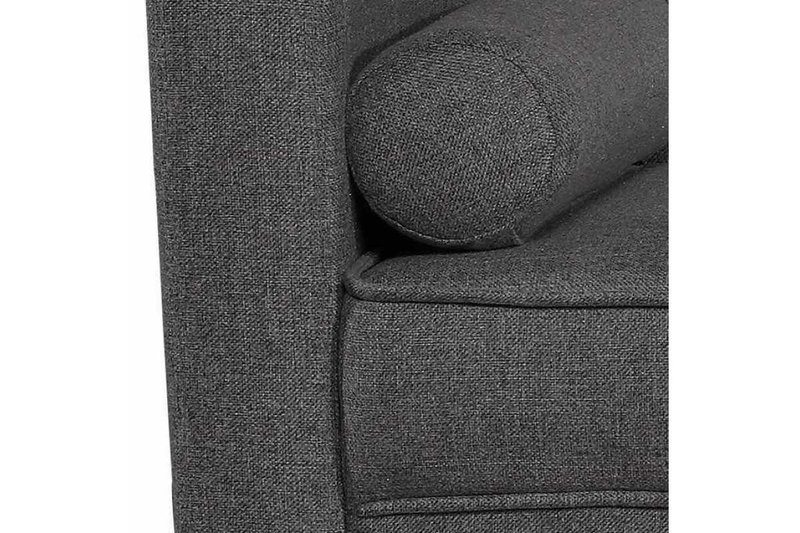 This Sofa Bed is easily converted from a Sofa to a Bed in seconds using a click-clack fold down system with 3 positions, Upright, Reclined or Bed. 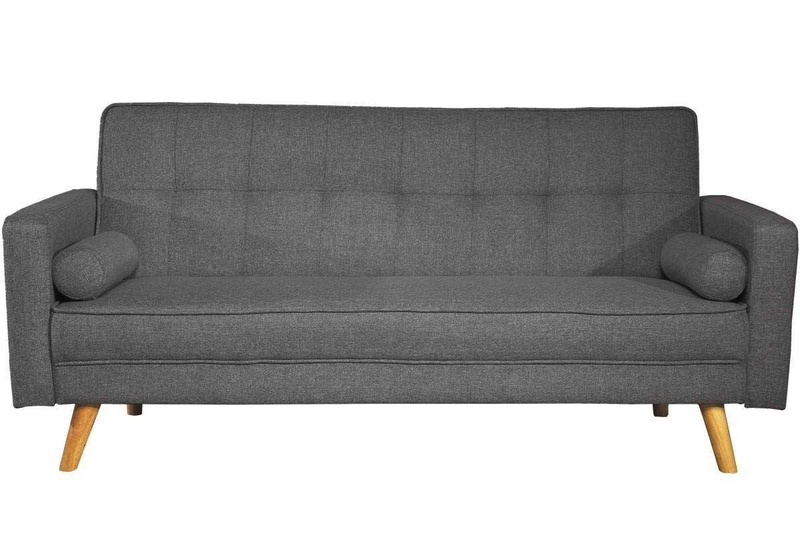 This stunning Fabric Sofa Bed is padded and comes with modern Scandinavia Wooden Style Legs & 2 chic style cylindrical cushions.